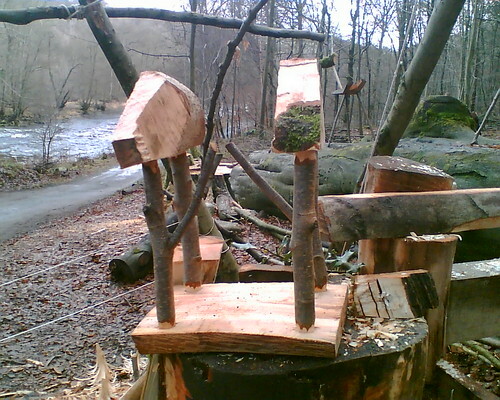 Started a bird table for my mate Andy. 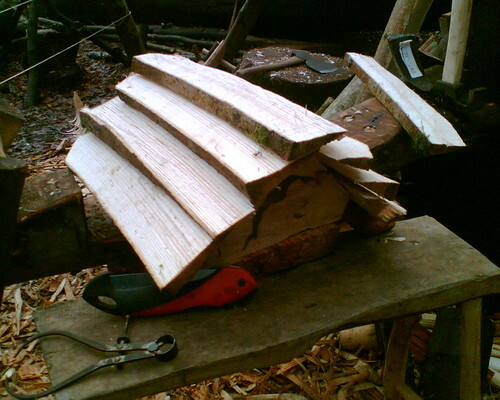 Apple base, hazel uprights, ash shingle roof and beech and ash gables. The roof is longer on the back than on the front, like a Dales farm with an outshant.